Excedentes (or Excess) was a commission of Matadero Center for Contemporary Art in Madrid, Spain, for a program called El Ranchito. 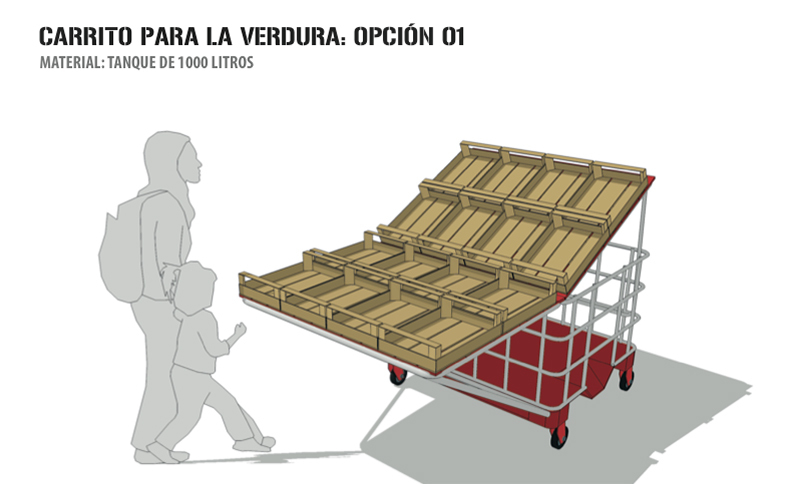 This project was a collaboration between Jose Luis Bongore (ES), Beatriz Marcos (ES), Ricardo Miranda (US) and myself. 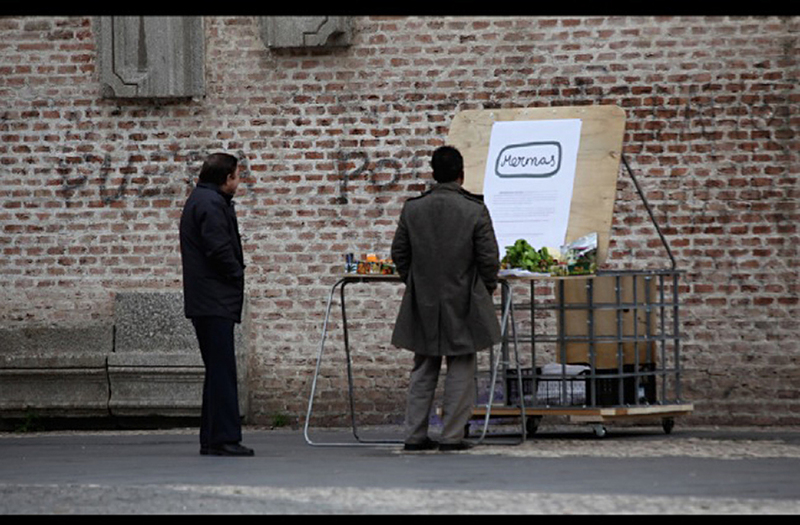 Matadero invited us to create a socially engaged artwork in a public studio environment over a six month period in 2011. 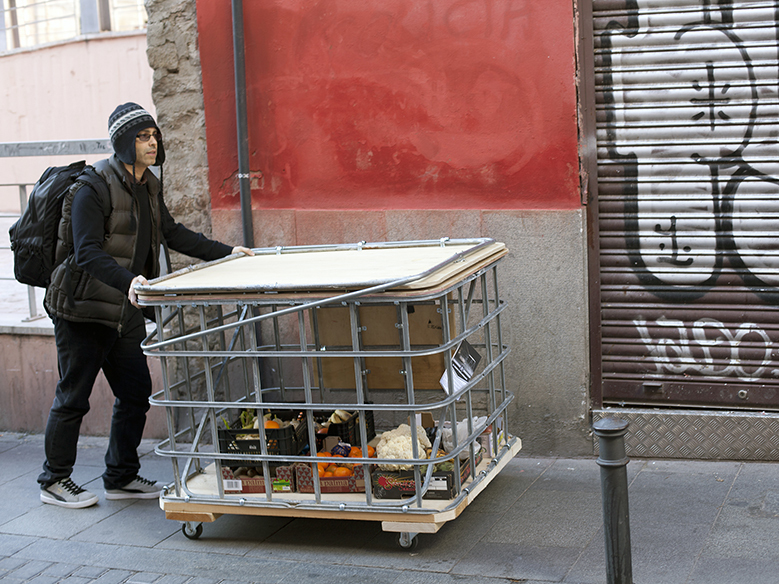 Our project addressed the economic downturn and the increase in “dumpster diving” or rescuing food from the garbage occurring in Madrid. 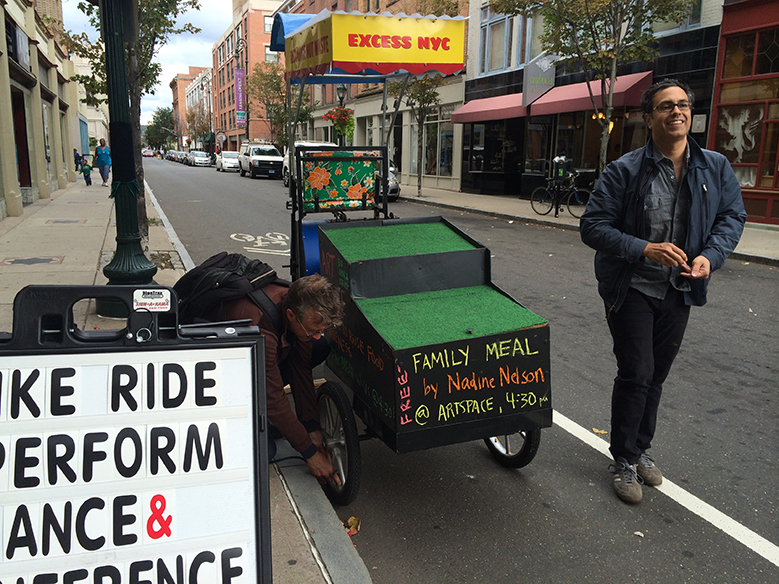 Eating food from the trash was deeply humiliating for many and we wanted to design a more humane system. 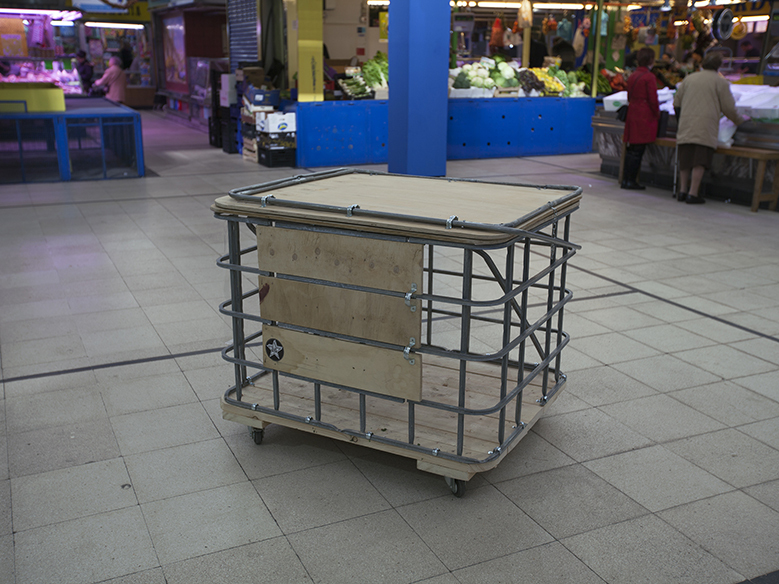 In the end, we built a mobile cart that transformed into a display unit. 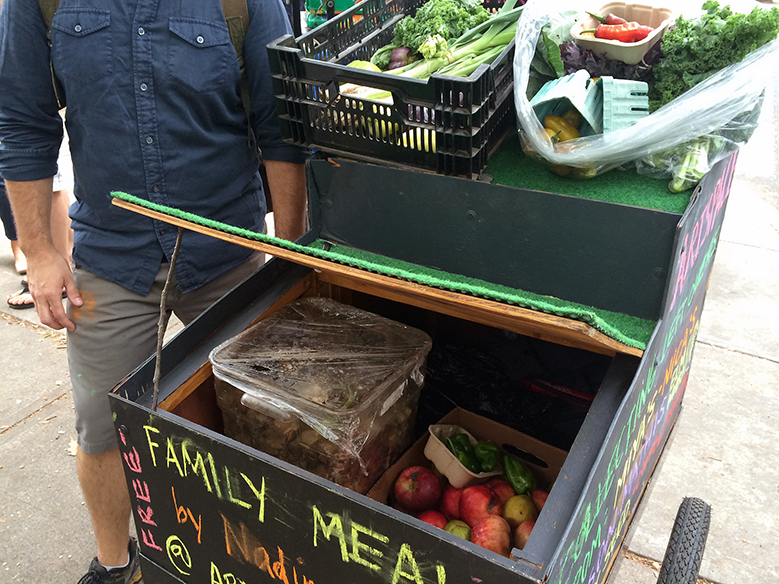 At the close of a business day, we would fill the cart with food that grocers could not sell and was destined for the trash, but was still edible. 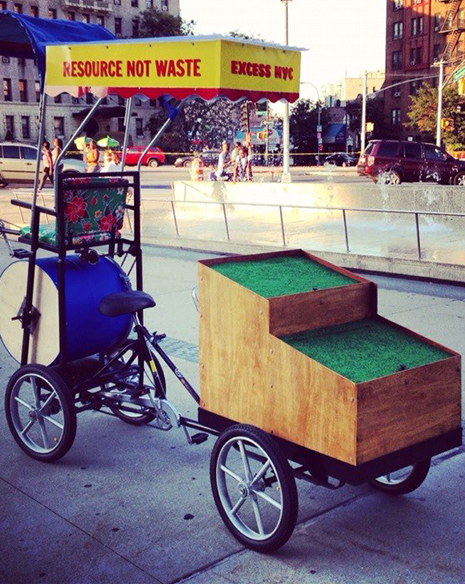 Then we would wheel the cart to a public space, transform it into a display unit and leave it with empty shopping bags for anyone to take. On our return to Brooklyn, Ricardo and I designed a second version, ExcessNYC, for New York City. 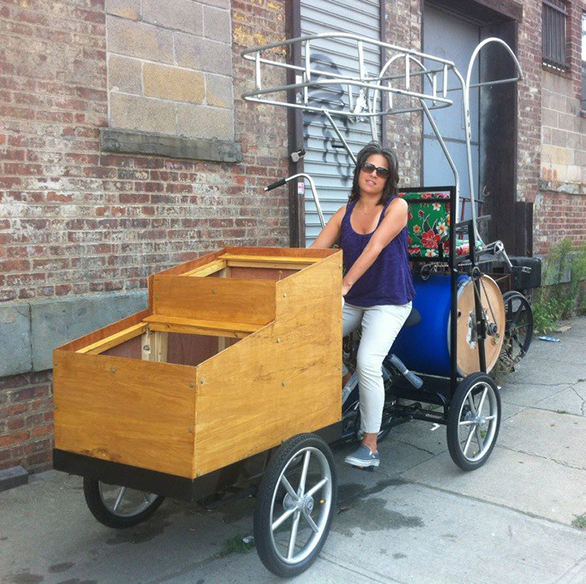 ExcessNYC was a cargo bike with a “bodega style” food display and storage unit in the front. 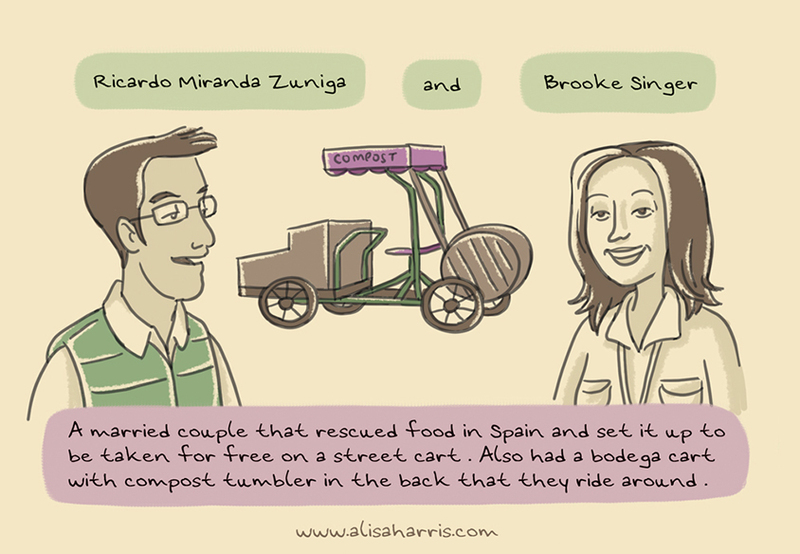 In the back it had a pedal-powered compost tumbler. 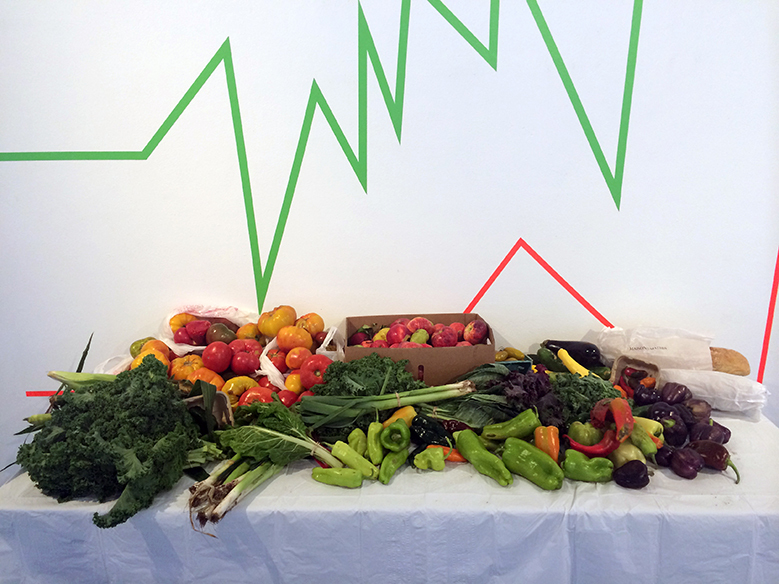 We collected edible food from small groceries to redistribute like in Madrid, but we also accepted inedible food for compost. 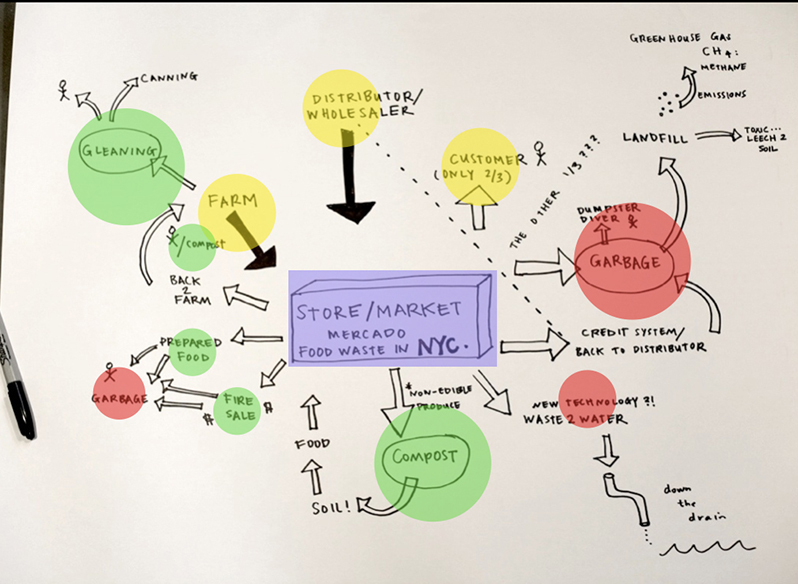 Eventually we established a compost garden in Crown Heights, Brooklyn, and processed over a ton of organic waste in nine months.